J. Lynn Enterprises — Specializing in transition services planning, transition assessment and functional vocational evaluation for students and adults with special needs. Creating Futures You Can Believe in. Judith Imperatore’s passion for helping students and adults with special needs lead meaningful lives—coupled with a strong sense of purpose and unequaled expertise—results in unrivaled transition services to students, schools, and families. What is “transition” in special education? It thinks about the child's best future. It builds foundational skills for successful adult living. It considers academic achievement and functional achievement. It is a backward design planning process - using an end goal-that drives the day to day activities, annual goals and curriculums used. It is result oriented, student centered, and a coordinated effort. We consult with districts, parents, families, and attorneys to advise best practices in transition, transition guidelines and mandates. All necessary elements of the transition process. Best practices with research as a basis. IDEA 2004 reauthorization and how to operationalize the law. How to design and build systems that support transition services and planning. How to create a community-based program. IEP design and transition planning. How to assess and create a functional vocational evaluation. How to work with families during the transition process. Job developing and developing business partnerships for large and small businesses. Do you have or need to create a hearing request for transition services case? Do you have a clear path for your special needs child leading from school services to a meaningful life afterwards and into adulthood? Is your child receiving the services they need to transition from high school to the next phase in their life? Has your child had a comprehensive assessment that provides you with a clear path to a defined destination? Do you have an individualized service plan or is it a cookie cutter solution? Is your child going to receive the services required to build life skills needed to support independent living? Take the worry about getting to a meaningful, fulfilling life and replace it with a clear pathway. I thought by attending numerous conferences and information session on Transition I’d be prepared to navigate this phase of my son’s education, but I was so wrong. Transition laws are hard to interpret and each school district differs in how they interpret these laws. I grew so frustrated knowing what my son “should” be doing during these critical years, but being met with road blocks. 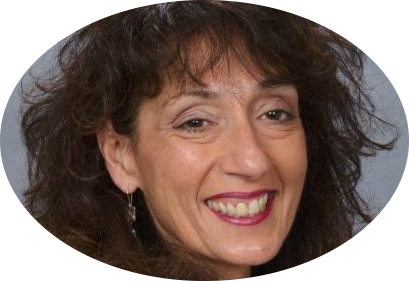 When I was introduced to Judith Imperatore I was blown away by her knowledge on Transition and her unique experiences working with families in the same boat. Her thorough and comprehensive assessments were like nothing else I had seen, and they allowed me to advocate persuasively to get my son what he needed and deserved based on the laws. Her creative ideas, passion for what she does and vast wealth of knowledge in this field makes her an incredibly unique and valuable resource for any family with Transition age students. —Liz, parent of 21 year old William with Cerebral Palsy/Developmental Delays. Contact Judith Imperatore for transition services, including vocational services, life skills training and post-secondary education orientation.